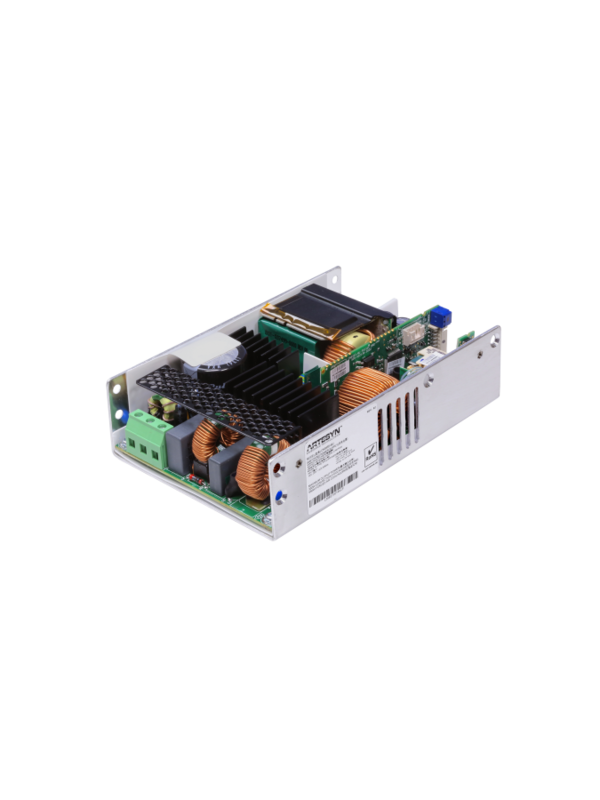 The CNS650-MU series of single output open-frame AC-DC power supplies are offered in 12 V, 24 V, or 48 V outputs with +15% Trim range. Each power supply comes with a 12 V fan output and 5 V standby. All models feature ITE and medical safety approvals and accept a universal input of 90 - 264 Vac. Depending on operating conditions, its 4'' x 6'' x 1.54'' compact and high density "U-Channel" Construction delivers up to 400 watts of output power with free air convection cooling and up to 650 watts with 400 LFM of forced air. These power supplies are ideal for industrial systems as well as for medical applications.